"Clove bud oil is derived from the clove tree, a member of the Myrtaceae family. This tree is native to Southeast Asian countries like Indonesia," according to Mercola. "From the evergreen, you can derive three types of clove essential oils: clove bud oil, clove leaf oil, and clove stem oil." Out of these three, Eugenia carophyllata is the most popular for aromatherapy practices. The clove bud is ideal for soothing minor cuts, scrapes, and open wounds because of their antiseptic and antibacterial properties. The leaves and stem are usually left out of aromatherapy because they are so strong and can enhance an irritation. 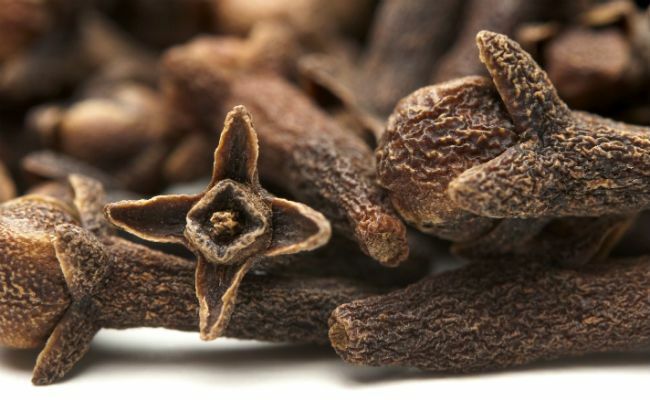 Ancient Greek, Roman, Chinese, and Indian cultures used clove bud essential oil as a toothache reliever. Chewing on the leaves also aided in curing bad breath. Today, many naturalistas use this as an at-home remedy to numb the gums instead of reaching for an over the counter topical medicine like Orajel. As it pertains to natural hair care, there have been natural recipes made with clove bud oil for those who need to clarify their scalp. You, too, can make clove bud essential oil at home as a natural scalp soothing pre-poo or deep clarifying treatment with just a few items. Place the four crushed cloves at the bottom of your airtight jar. Crush them thoroughly. Seal the container tightly. Exposure to air can affect the oil's potency. Pour the mix in the glass container. Use the strainer to remove any excess particles. Do not hesitate to strain the oil a couple of times to make sure particles are completely removed. Store away for up to five years on the shelf. Over time, the color of the mix will darken. Make sure the container is sealed tightly. Apply the clove bud oil topically to your scalp before using a clarifying shampoo and then rinse thoroughly. Or you may apply it directly to your scalp as a clarifying treatment and leave on for about 30 minutes. Rinse out with warm water, massaging your scalp with the pads of your fingers and your favorite moisturizing conditioner.